In a sea of blue, Miami Dade College alumni, students, faculty, staff and friends came together to make this the best I AM MDC Day in history! 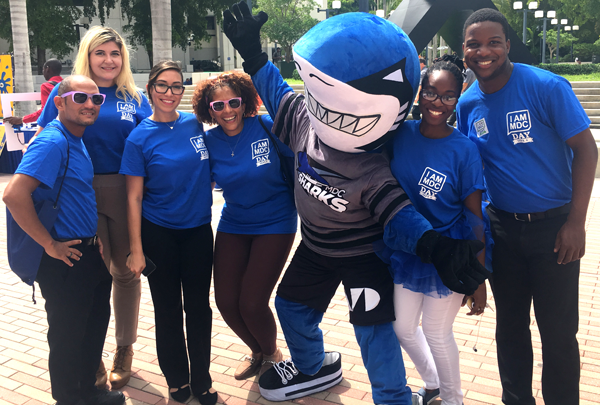 On behalf of Miami Dade College Foundation, THANK YOU for showing your Shark pride and supporting MDC scholarships and programs. Thanks to MDC and the donors for supporting me and changing my life. Without your generosity, some of us wouldn't be where we are today. You can still make a gift year-round to the I AM MDC Fund. 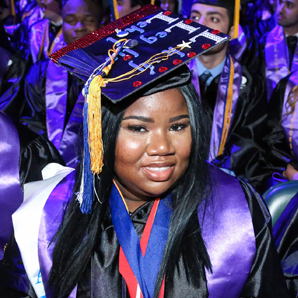 Your support continues making dreams come true -- one student, one scholarship, and one program at a time. 70% of our students work while going to school. 65% come from low-income households. The following social media section does not offer the best user experience for screen readers. To view our full social media feeds, visit us on Twitter, Facebook, and Instagram. You may also find our social media pages by skipping directly to the footer. MDC saw my potential and now I’m the first in my family to graduate college. On Sept. 6, 1960, Miami gained a champion. Now it’s a day well worthy of celebration. 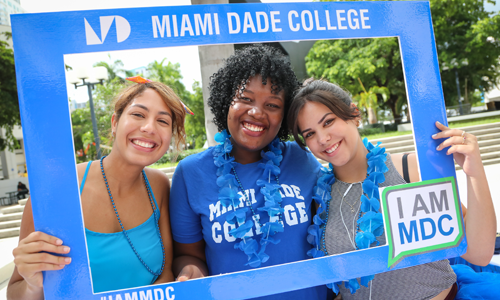 Every Sept. 6, join us in declaring “I AM MDC” for the indispensable role Miami Dade College plays in uplifting lives and building our community. Wear blue on Sept. 6. Participate in events on Sept. 6. Post on social media using #IAMMDC. Also update your profile picture through Sept. 6. See our I AM MDC Toolkit. 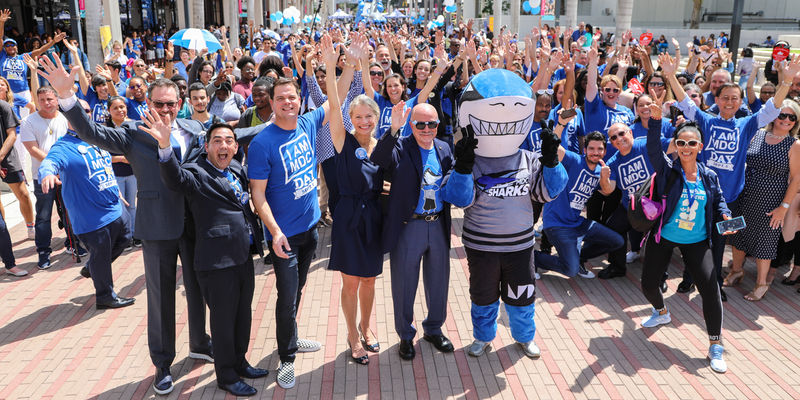 Bring fellow sharks together for MDC within your network, at your workplace or on social media by becoming a Finnbassador. 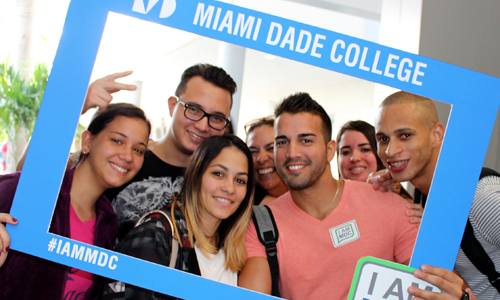 Students, faculty, staff and friends came together to celebrate I AM MDC Day. 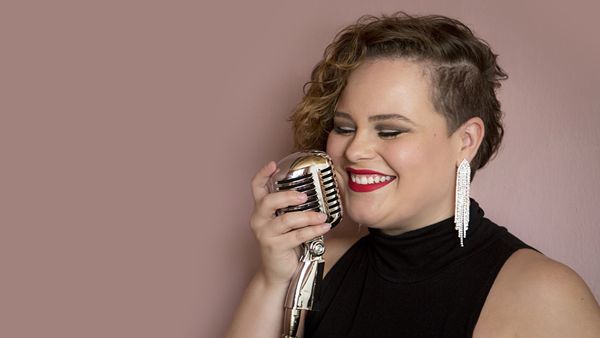 MDC alumna and singer Yoli Mayor performed at the I AM MDC Day Finns Up + Kick-Off Ceremony at MDC’s Wolfson Campus. 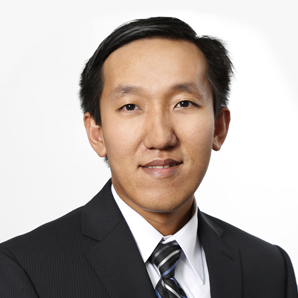 Mayor was a 2017 semi-finalist on the hit show America’s Got Talent. Thanks to those who generously support Miami Dade College. 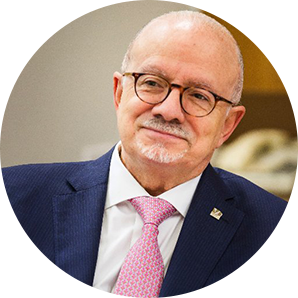 As an MDC faculty member and Endowed Teaching Chair recipient, I’ve been able to continue achieving the American Dream while making an impact on our students and the communities we serve. 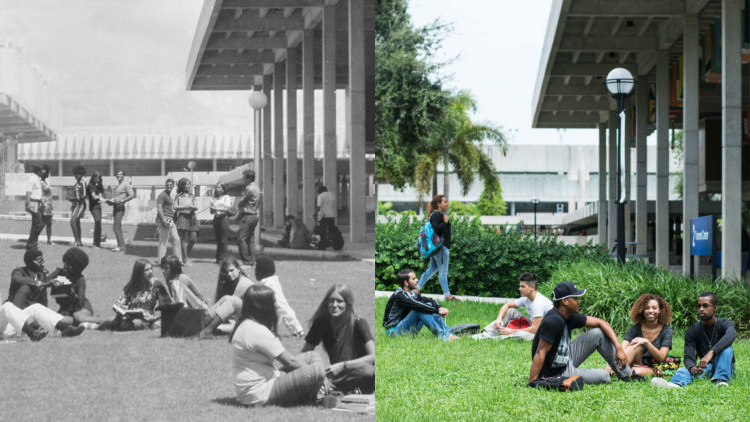 Miami Dade College opened the door to the American Dream on Sept. 6, 1960. 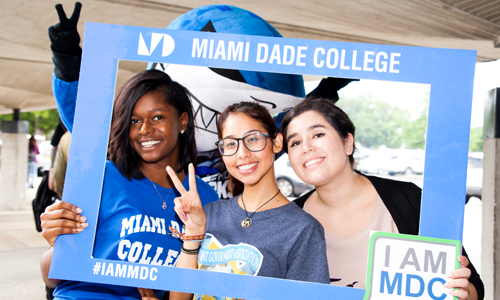 Today more than 2 million lives have been changed, thanks to the education and opportunity they received at MDC. 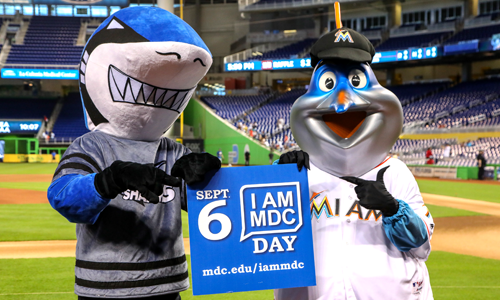 Each year on Sept. 6, I AM MDC Day recognizes and celebrates the significant impact MDC has made on millions of students, their careers and families, and our community. 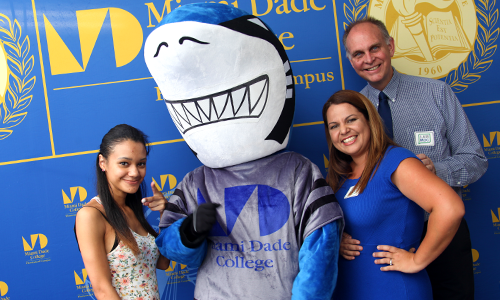 The 24-hour day of giving and pride benefits students and the programs that support them through the I AM MDC Fund. 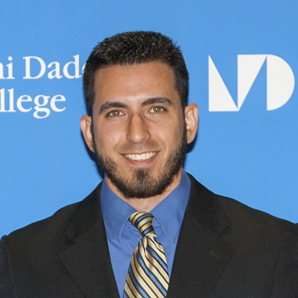 Students may apply for the 2018-2019 I AM MDC scholarship. 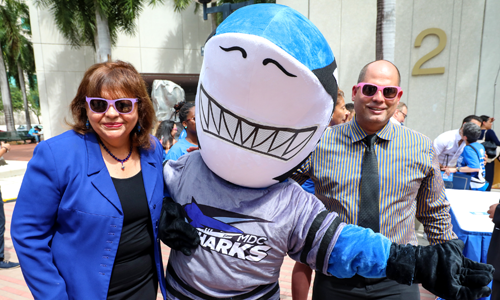 Additionally, Sept. 6 was officially proclaimed I AM MDC Day in the city of Miami and across Miami-Dade County, and spirited celebrations took place across all eight MDC campuses.